Check out this optical illusion: Look from one stop to another anywhere in the image and the image appears to wave like a flag. 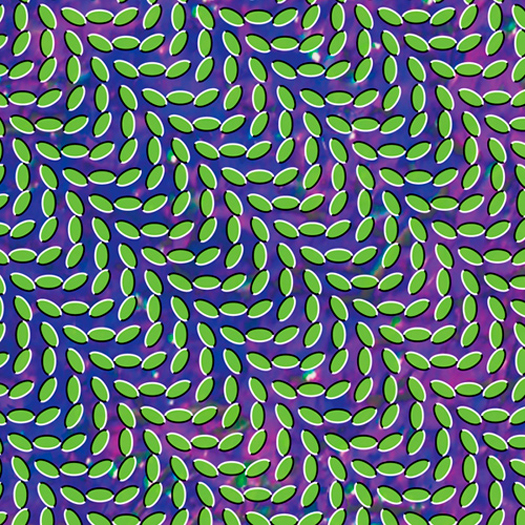 But this is not an animation, and it only appears to be moving. Interesting, no?